'Surgical strikes' have now entered the vocabulary of the common man. However, in his cautionary observations on the 'surgical strikes' by the army in reprisal for the Uri terror attack, the former national security adviser, Shivshankar Menon, pointed out that strategic strikes are a misnomer. To him, the term is instead from the nuclear domain, such as the taking out of Iraq's nascent nuclear capability by the Israelis in a surgical strike. Even though the term has acquired a wider application and is used for military operations with little or no collateral damage, Menon's mistaken linkage of the term with nuclear operations is a useful start point to this article discussing the implications for India's nuclear doctrine of India's shift to 'strategic proactivism', heralded by the surgical strikes. The lazy man's linkage between the two levels - subconventional at which surgical strikes took place and the nuclear level at which nuclear ordnance is exchanged - is in the seemingly easier slide into conflict, if strategic proactivism is taken at face value. A Kashmir-centric terror attack would warrant a surgical strike in retaliation; precedence having been set and an action-reaction cycle, presumably already underway in the (re) activation of the Line of Control. This is unlikely to stay 'surgical' next time round since both the Pakistani army and the terrorists would be better prepared. India consequently might require upping the ante, perhaps with greater force levels or additional vectors such as by use of air power. The result might be more messy than in the precedent, prompting the slide from crisis into conflict that has been staple for strategists over the past decade. However, that this is not necessarily how the future might play out is clear from the very careful wording of the military operation's chief's press statement on the surgical strikes. 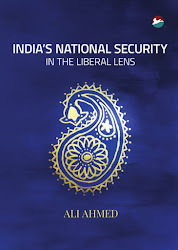 In effect, India might not have as yet transited to strategic proactivism, even if tuning in to the brouhaha in the political spectrum over the strikes suggests that the transition is not only underway but complete. Clearly, India is a screwdriver's turn away from strategic proactivism. The transition from its long standing strategic doctrine dubbed 'strategic restraint' to strategic proactivism is well underway and has been so for almost half a decade. The shift is from the offensive-deterrence segment of the continuum of strategic doctrines that ranges from accommodation at one end, through deterrence of the defensive and offensive variants, to compellence at the other. India has in its period of strategic restraint moved from defensive deterrence to offensive deterrence. 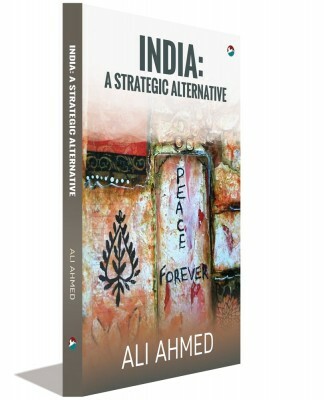 The usage of the term strategic restraint does not reveal fully the offensive content of India's strategic doctrine over the past decade and half. Instead, its continued usage appears to indicate intent to hide the offensive content and tendency in the strategic doctrine. This may be to genuflect to India's self-image as a responsible and mature power that has historically been reticence in the use of power and force. However, the fit of this with the working of its strategic doctrine in respect of Pakistan is questionable. In respect of Pakistan, India's movement from defensive deterrence to offensive deterrence began with the shift in its military doctrine from a counter offensive posture to an offensive on a short fuse, the so-called Cold Start. Cold start has since been dubbed 'proactive war strategy' or some such variant of the term. 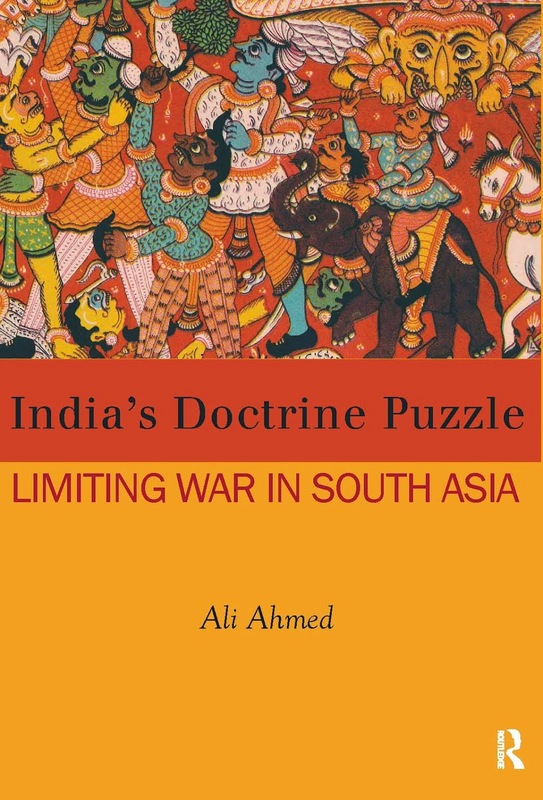 India's effort has since been to create the wherewithal to operationalise the doctrine. It has presumably finally succeeded in doing so, after a tripling of the defence budget over this century. This accounts for the confidence that induced the 'surgical strikes'. This government has gone on to allocate Rs 5000 crore for fast track ammunition purchases and a further Rs 80000 crores for arms purchases since September. This indicates a further shift along the strategic doctrinal continuum from offensive-deterrence to compellence. The remainder of this article examines the implications for nuclear doctrine. At the subconventional level the shift in strategic doctrine has prompted the surgical strikes. The government's going public with the ownership of the surgical strikes that were in the period of strategic restraint left covert, with the military picking up the tab for decision making. Higher up the spectrum of conflict, at the conventional level, the defence purchases for enabling conventional reprisal capability are evidence. At the nuclear level, the first salvo has been fired by the defence minister in voicing his 'personal' opinion on India's No First Use (NFU) pledge, which the defence ministry spokesperson clarified were his personal opinion not amounting to a change in nuclear doctrine . Even though the defence minister has long lost personal credibility owing to his foot-in-the-mouth habit, as member of the National Security Council and of the Nuclear Command Authority, his opinion is worth a pause. He opined that the NFU need not bind India when all India needed to do was assure all that its nuclear use - whether in a first use or retaliatory mode - would be in a responsible manner. Leaving aside the nuclear abolitionist's critique that responsible nuclear use is an oxymoron and the retort that adhering to the NFU is how India has traditionally exhibited that it is a responsible nuclear power, it needs establishing 'going second' makes sense even in the age of strategic proactivism. One nuclear first use option for India is for degrading the most likely manner Pakistan is likely to 'go first' with nuclear weapons. The option is of preemption of Pakistan's tactical nuclear weapons (TNW) force. Even Pakistan, which does not have an NFU, understands the conventional-nuclear level distinction even as it gets its TNW into play. Indian strategists are liable to mistake the TNW as aiming at addressing the conventional asymmetry. Consequently, they err in dismissing these as operationally ineffectual. They are right in terms of the effect on the battlefield of TNW, but the purpose of Pakistan is not so much to stop a strike corps in its tracks as to use TNW for strategic signaling, for indicating its threshold unmistakably and catalyzing external conflict termination pressures . Therefore, Pakistan's action is not so much a fraying of the conventional-nuclear level boundary, but a first - distinct and decisive - step from the conventional level to the nuclear level. India by creating the option of preempting Pakistan's TNW use ignores the conventional-nuclear divide. India's nuclear first use in this manner would be to extend cover to its conventional operations by degradation of enemy fire power means that stand to disrupt these operations. Such degradation can well be done by conventional means including long range artillery, area saturation rockets, missiles and air power. Nuclear weapons to Using undertake what India can do with its existing and-In-the-pipeline acquisitions is to collapse the conventional and nuclear levels. There is no compulsion to replicate the offensive shift of strategic proactivism at the nuclear level, since the nuclear level traditionally has a distinct - sacrosanct - place atop the spectrum of conflict. Ignoring this is to misread the uniqueness of nuclear ordnance as separate from conventional weaponry. It is only in case the conventional weaponry so deployed fails to deliver on keeping the conflict from going nuclear that India could consider resort to nuclear tipped Prahaar missiles. Though this has the underside of taking the conflict into nuclear warfighting domain, this is a lower order nuclear use cognizant of the nuclear level's two sublevels: non-strategic and strategic. The bright side is that such exchange ( s) are amenable to a conflict exit point while it is still in the 'No cities' (Tom Shelling) stage. The second option of nuclear first use by India is in a wider counter force attack, including Pakistani nuclear ordnance outside of its TNW. Even if not of first strike levels or so degrading of Pakistani retaliatory capability that it is hard put to retaliate, it has every chance of escalating since collateral damage and a 'use them-lose them' logic will prompt like retaliation. This would unlikely leave India unscathed since Pakistan, through vertical proliferation, has the second strike capability, even if one not anchored on an invulnerable subsurface deterrent that is traditionally, though mistakenly taken as furnishing a second strike capability. The environmental and thereby political fallout of such a manner of nuclear first use will be such that India-as-we-know-it can not survive the consequences. The defence minister in his frivolity has done the nation a favour. It enables a time window to educate him on nuclear nuances. Since strategic proactivism is sure to send the proverbial balloon up over the subcontinent sooner than later and the government having gotten used to 'surgical strikes' of various kinds, including demonetisation, it might just think that the nuclear level lends itself to such strikes. It is therefore only timely to disabuse a member of the Nuclear Command Authority of any such notion.